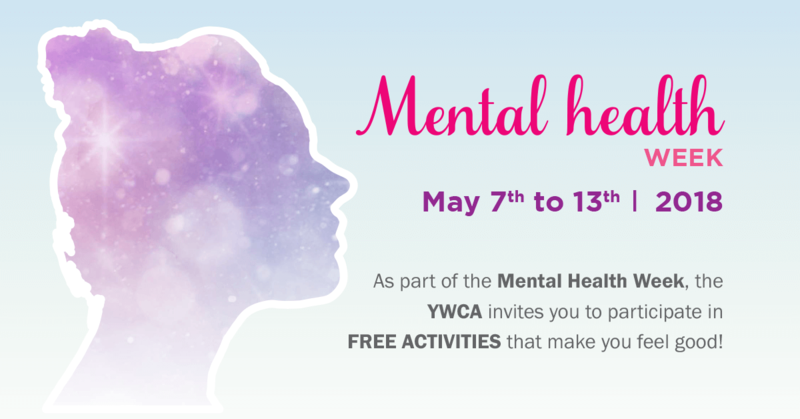 As part of the Mental Health Week (May 7-13, 2018), the YWCA invites you to participate in free activities that make you feel good! Demystify the phenomenon of stress and its various manifestations, as well as its consequences on mental, physical and relational health. Understand why it’s important to manage stress and discover tools to improve your well-being. Complete the benefits of the stress management workshop with a chair massage session courtesy of the YWCA. 15 minute sessions. Understand how dreams relate to mental health and learn how to use them to improve your psychological well-being, find solutions to problems and answer your questions. Enjoy the benefits of a Reiki session, a practice of harmonization and channeling energy to revitalize the flow of energy, providing a feeling of calm and well-being. 15 minute sessions.